Have fun with your kids and stay cool in Florida's sizzling summer sun. Spend a day at one of the seven great water parks in the Fort Lauderdale area. 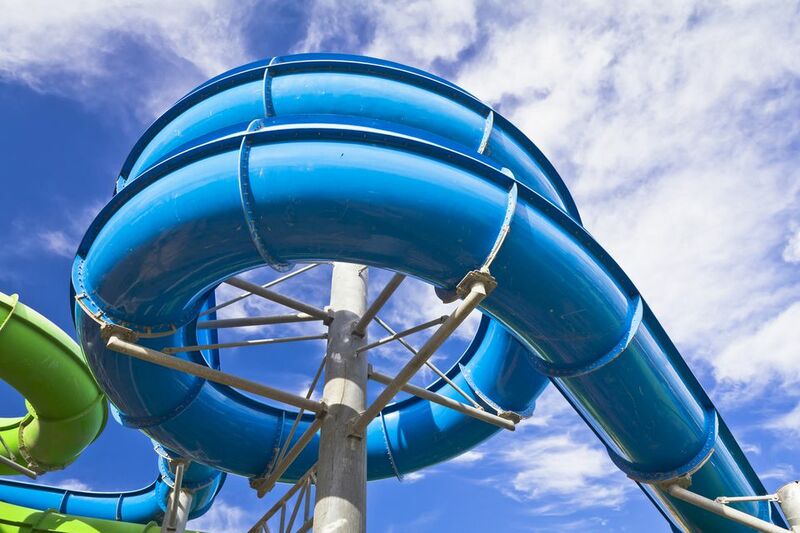 Most water parks offer pools, playgrounds, and slides suitable for different ages. It's recommended that parents check the park’s website for hours of operation, age and height restrictions before going. Because many water parks close during stormy weather, check the weather report before going as well. Castaway Island is located in Topeekeegee Yugnee (T.Y.) Park in Hollywood. There are two aquatic playgrounds for splashing and playing. The toddlers’ section includes a slide and interactive climbing structures. The playground for older kids features a huge slide and a giant elevated bucket that drops water down into the pool. It's fun to duck under a waterfall and then climb and explore the different surfaces and water features. You can pay for daily admission or buy a water park pass for the whole season. The aquatics complex also includes a marina with boat rentals. Paradise Cove, in Pembroke Pines, offers a shallow pool, small slide, and hands-on play equipment for children ages five and under. Sharkey’s Lagoon is a large wading pool with interactive play equipment and three water slides that are open to all ages. Children must be at least 42" tall to ride Crazy Creek, a 410-foot long tube ride, and H2Whoa! with its 450-foot slides. At Tropical Splash in Lauderhill, toddlers can wade in a shallow pool with slides and climbing equipment while older kids splash in a large pool with a giant elevated bucket that drops water down below. There are three slippery slides and water guns to play with. Splash Adventure, in Deerfield Beach, is a sprawling shallow pool of fun featuring a huge interactive playground with a giant bucket overhead that splashes water down onto the play area. Limited aquatic sessions last about two hours to keep the pool from overcrowding. Get there early in the day or call ahead before going. Calypso Bay, in Seminole Palms Park, is a great place to go for a family picnic. Children five and under wade in the water in their own interactive playground while older siblings enjoy an 897-foot hairpin river ride and two giant water slides. There’s also a roomy lap pool with diving boards. You can pack a picnic or buy lunch there. Picnic tables around the water park cannot be reserved in advance. This 30-acre attraction in Riviera Beach is the largest water park in South Florida with 35 different water slides, a ginormous wave pool, and a 1/4-mile meandering river. Rapid Racer, a six-lane high-speed slide with tunnels, twists, and turns is one of the highlights. Large group rates are usually available but check in advance. Normally, no refunds or rain checks are given due to stormy weather. Little ones love to splash in the kiddie water playground at Coconut Cove. Older kids have a blast sailing through the 986-foot river ride on an inner tube or slithering down two 220-foot water slides. There’s also a large swimming pool and an obstacle course. Picnic tables around the water park cannot be reserved in advance.